The NYU Urban Expansion Program at the Marron Institute has been commissioned by the Green Climate Fund--the $100 billion international fund created for assisting developing countries in mitigating and adapting to climate change--to undertake a preliminary effort to build the capacity of Grenada, a Caribbean country with a population of 107,000, to respond with resilience to climate change. This program, called Climate Smart Cities: Grenada, has a special emphasis on the capital, St. George's. We have assembled a team of experts and have defined nine projects than now need preliminary designs to move forward. Our role is to assist the Grenadians in preparing these designs themselves, through a series of engagements and workshops in Grenada in the coming year. We hope to support the Grenadians in implementing these designs over the next several years, with continued support from the Green Climate Fund. Our engagement with Grenada is seen by the Green Climate Fund as a prototype for other Caribbean and island countries. We shall report on the project, with a special emphasis on our multi-disciplinary capacity-building methodology. Due to limited space this event is restricted to NYU faculty, research staff, and gradtuate students. To RSVP please email marron.institute@nyu.edu. 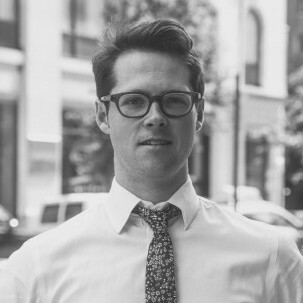 Patrick Lamson-Hall is a Research Scholar in the NYU Urban Expansion program. He recently completed his Masters in Urban Planning at the NYU Wagner School of Public Service. His research interests include urbanization in the developing world, development economics, and historical urbanization. 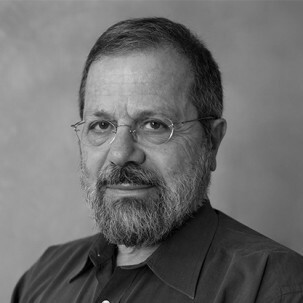 Shlomo (Solly) Angel is a Professor of City Planning at the Marron Institute. He leads the NYU Urban Expansion based at the Marron Institute and the NYU Stern Urbanization Project. Angel is an expert on urban development policy, having advised the United Nations, the World Bank, and the Inter-American Development Bank (IDB). He currently focuses on documenting and planning for urban expansion in the developing world. In 1973, he started a program in Human Settlements Planning and Development at the Asian Institute of Technology in Bangkok. He taught at the Institute from 1973 to 1983, while researching housing and urban development in the cities of East, South, and Southeast Asia. From the mid-80s to mid-90s, he worked as a housing and urban development consultant to UN-Habitat, the Asian Development Bank, and the Government of Thailand. In 2000, he published Housing Policy Matters, a comparative study of housing conditions and policies around the world. From 2000 onward, he prepared housing sector assessments of 11 Latin America and Caribbean countries for the IDB and the World Bank. Angel earned a bachelor’s degree in architecture and a doctorate in city and regional planning at the University of California, Berkeley.